Do you do gaming? Are you ready to be part of the race against machines? See how far you can go with Robot Clash today. The introduction of Robot Clash Run has changed the gaming industry as the game comes with new interfaces that are better designed to give you only the best. 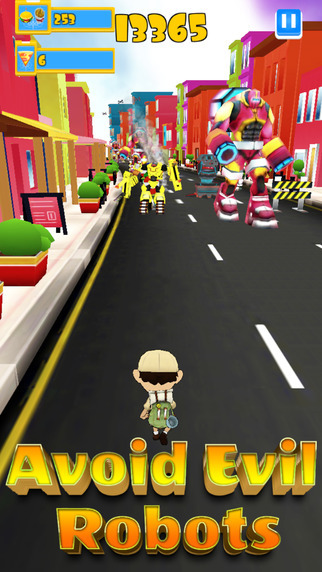 Get to enjoy fun endless runner Arcade game with Robot Clash Run. 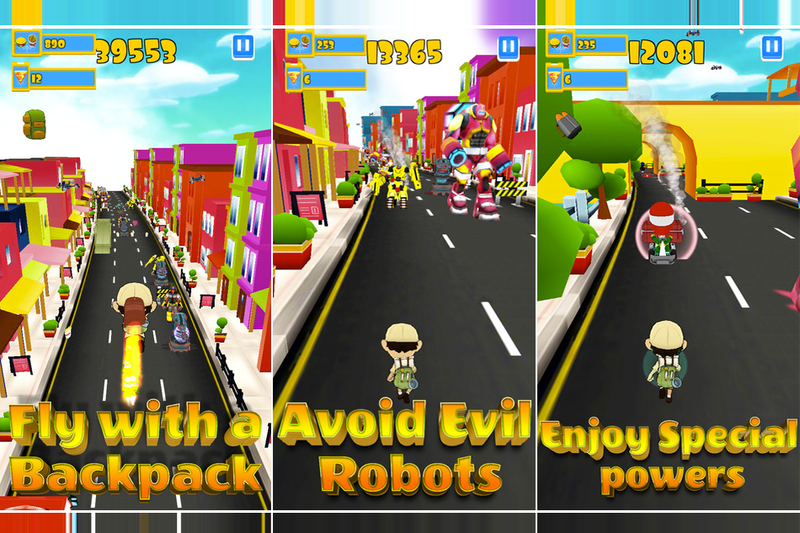 In the game Robot Clash Run, you are given the opportunity to clash, run and dash with various robots and drones. You sprint in an outstanding, funny and steadfast and challenge the robots by the use of nonstop bright twists, slopes, tunnels and turns. On your way catch as many fries, burgers or pizzas by jumping, flying, kicking or even changing lanes as you pass through the continuous funny arcade. Grasp more pizzas, burgers or fries the higher chance of collecting more points. Put your reflexes to test with this new, sensational and thrilling game that leaves wanting more and gaming back for it. It is your chance to defend the earth from that malevolence clan of Robots and the drones while you escape and eliminate them from the platform even those in the sky. That sounds easy, right? Evade the hundreds of obstacles and have fun. Start running now: the robot Clash Run. The game gives you the chance to learn how to survive in the game by the run as fast you can to beat the tricky levels of the match. As you run you burn off a lot of energies, and you need food to redeem your energy, collect burgers, fries, and pizzas. This fuels your run. Be creative and make use of the various ways to fight drones, use hot dog artillery to beat and defeat the robots on the ground. You can kick, jump, or fly when faced with robots. It brings about various ways to survive. 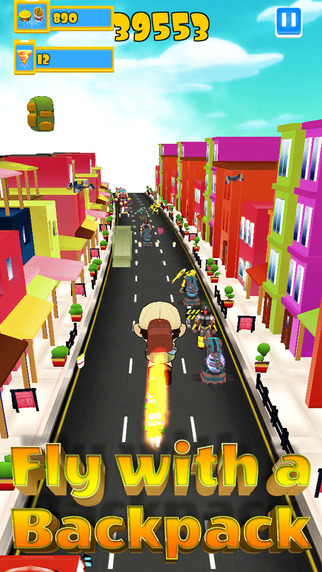 Robot clash run helps you to destroy the drones before they launch their attacks on you. Get to their hideouts and smoke them out, walloped them and raided the spy robots as you run. Hunt those in the sky and emerge the winner. With the game, you get to fly the jetpack so as to boost your chance of collecting great fries, pizzas, and burgers. Get to travel so as to avoid drones and receive fuel to increase chances of survival. The game presents you with special powers to defeat the drones. The special power gives you the opportunity to handle the machine and continue to battle. The game has the best interfaces with beautiful animations to boost your love for the match. With simple controls, you are ready to go. Play the new Robot Clash Run now and compete with machines and gauge your abilities of gaming.